Anchors away! We love all things nautical and pirate! Arrrgh! 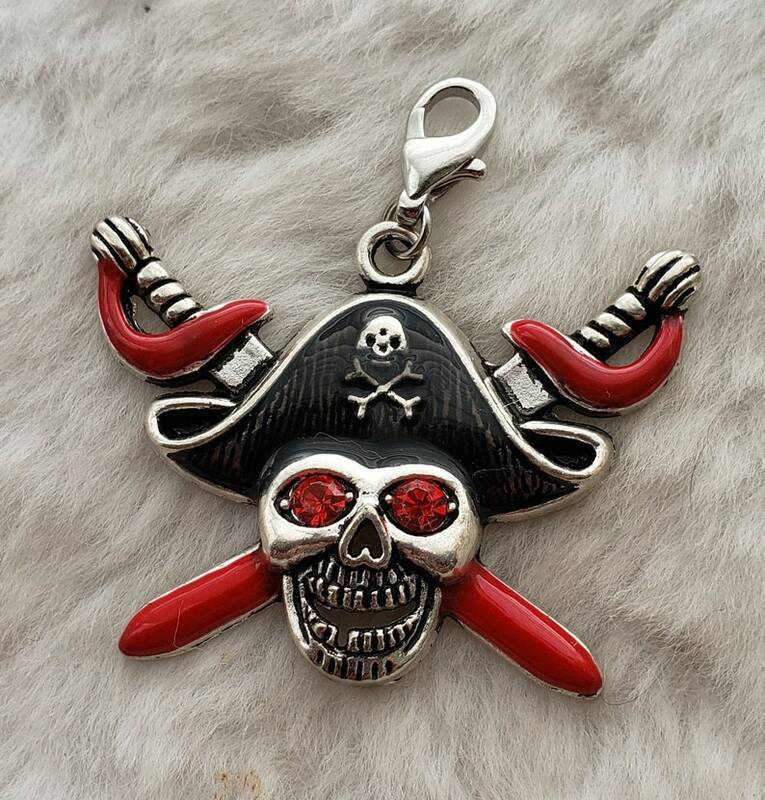 This skull and crossbones pirate pendant is just perfect for your beach, ocean, sailing, cruise or pirate themed necklace or other jewelry creation. Or, if you're an East Carolina University pirate, let this serve as your team spirit jewelry! Available with or without lobster clasp. Hand-painted enamel with red rhinestone eyes.